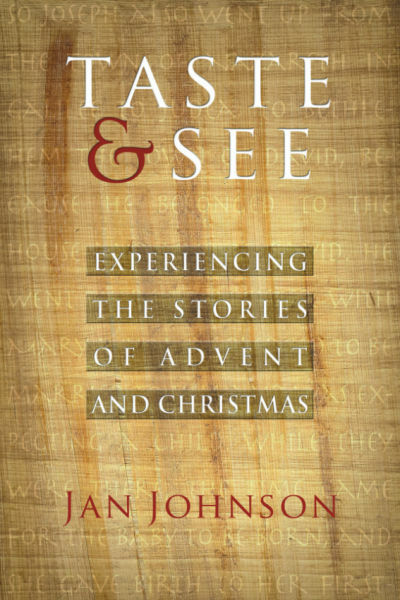 Jan Johnson offers an innovative Advent small-group study built around a careful contextual reading of scripture combined with the imaginative reading approach introduced by St. Ignatius. The title Taste and See hints at how readers are invited to experience the stories of the season with their senses. Drawing on that experience of scripture, participants then consider how these stories speak to their own lives. Purchase print or Kindle on Amazon.